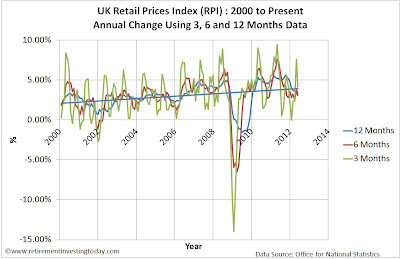 Today’s post looks at UK Inflation and specifically the Retail Prices Index (RPI) and the Consumer Prices Index (CPI). 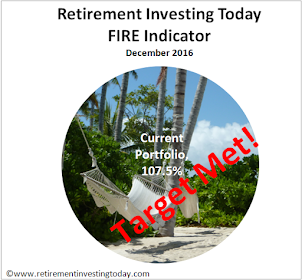 It is not the most exciting post that I write, however it is an important piece of data for us to look at as it is needed to run a lot of the analysis that you see on Retirement Investing Today. At this point in time the RPI is changing year on year at the rate of 3.1% with the index itself shown in my first chart. This chart clearly shows the index still trending away from the long run trendline. 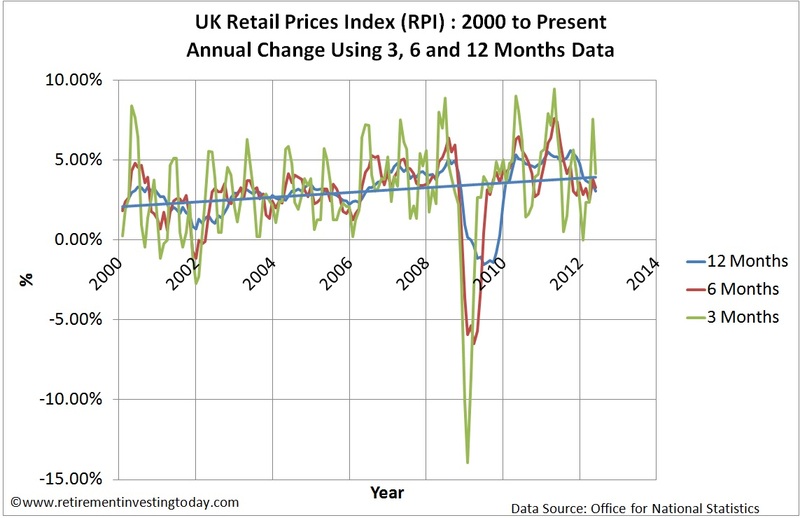 My second chart shows the annualised change in the RPI on a quarterly, six monthly and annual basis. On an annualised quarterly basis we are seeing inflation still high at 4.2%. We are told that the biggest downwards pressure came from petrol & oil and food. I’d be interested in what readers are seeing. I’m not noticing any respite in food prices however I am definitely seeing a recent reduction (not just a slower rate of rise which is what a lower but positive annual figure really means unlike a lot of comments that I heard today as I went about my life) in petrol. This will however be a very short lived reduction with vehicle excise duty rising by a bit over 3p in August 2012. The RPI is a key metric to watch as I use it as a correction factor to account for the devaluation of money when I analyse real gold prices calculated in sterling. 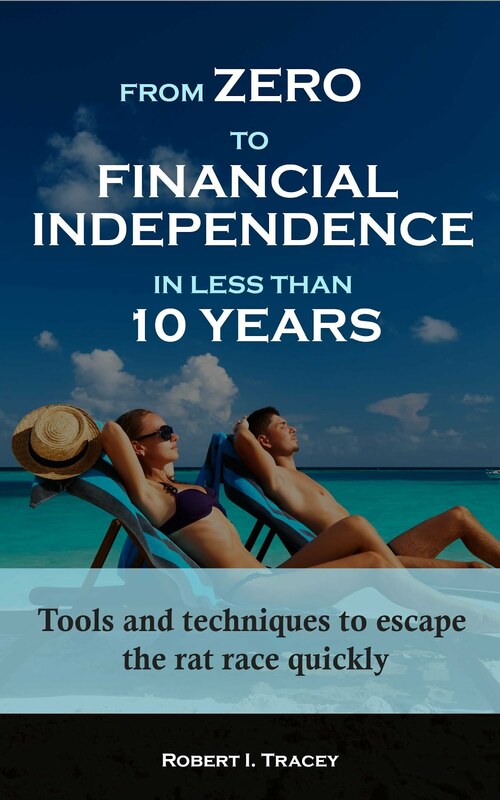 I also use it to devalue earnings when I am calculating how big a retirement portfolio I will need. 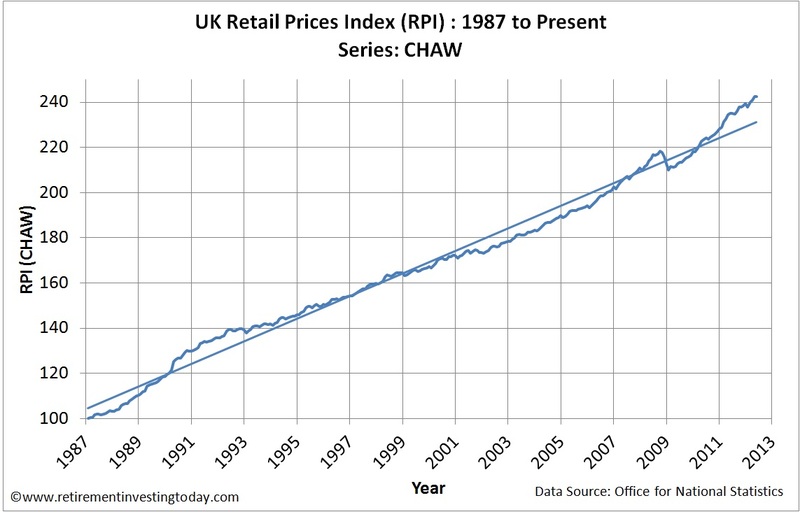 The CPI in contrast is now increasing year on year at the rate of 2.8%. 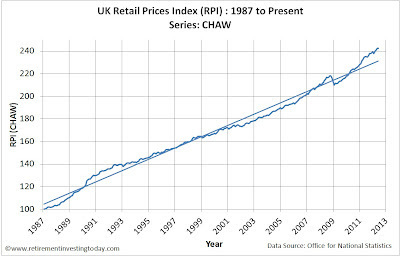 This metric is important also as it is used when calculating the FTSE 100 cyclically adjusted PE.